What do you do when vulnerable people aren’t able to earn enough money to support themselves and feed their families? 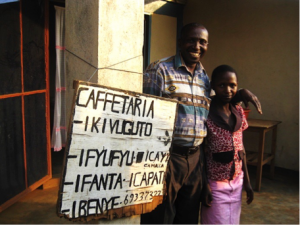 Rema Burundi’s solution is to grant small loans to enable people to start their own business. Most of these are widows, people with disabilities, HIV/AIDS victims, single mothers, etc. Rema works in partnership with churches and associations. Members of these churches and associations learn from one another as they learn new skills to earn their own income . They also hold one another responsible and encourage one another to pay back the loans borrowed from Rema. When a loan is repaid it is invested back into the community enabling someone else to start a business. One person’s success is everybody’s success. Rema now supports 60+ individuals and groups. RemaUK trustee Sally visited several projects in summer 2018. Here are some of the stories she discovered. PASTOR THEOPHILE (Near Nyanza Lac) ‘I could hardly get food on my table when we met with Rema in a training which they had organised. It opened my mind and I started doing small business and with the help of Rema I now operate a number of small businesses including running 5 small pharmacy stores. I am helping more individuals in my church to run small businesses’. Rema are helping with small start up loans. BEATRICE (Mabanda) had polio aged 4 yrs and has limited mobility. 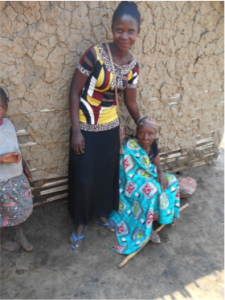 She came back from exile in Tanzania with her widowed mother and her 2 sisters. Following difficulti es in recovering their land (as her father had passed away) they built a small house on their brother’s 20x20m plot. Cohabiting with their married brother was very difficult as he had his own family as well. Even getting a meal was challenging and miraculous. Life was at a standstill when Rema first met her. She requested a sewing machine, having learnt to use one in the refugee camp with the help of a volunteer. Rema bought her a sewing machine and she turned her, and her families’, life around to one of happiness and hope….. She owned a cow and they had enough to eat. When we visited, (in July) she greeted us with a big smile, provided breakfast including pancakes made by her sister and showed us the stylish garments she was making to order. 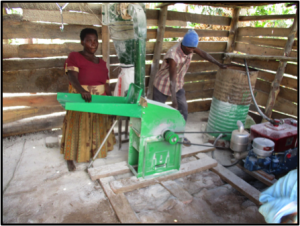 More recently she has had a further loan and she has bought a milling machine with many people coming to her to grind their grain. 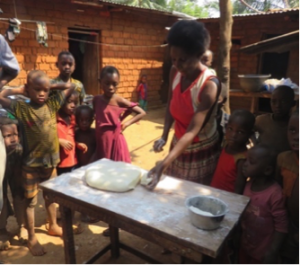 Cake Making: Virginia was about to give up everything and go with her family (8 children) to a refugee camp as she felt her situation was so hopeless with no means to feed the family. With a small loan she is now making cakes (bit like doughnuts as there are no ovens) and sells 2 sacks a day in the local market. She has now paid off her loan and is encouraging others. 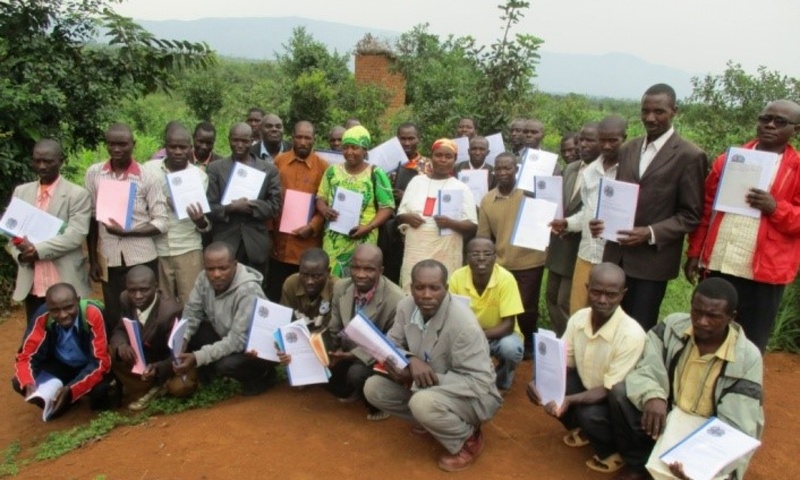 Rema Burundi began granting loans for income generation projects back in 2007, but the strategy wasn’t very clear so we took a step back to evaluate the best way forward. 2016 saw the project resume with a clear strategy that any beneficiaries committed to train others on the waiting list. We realised that even if people cannot read or write, they can learn by doing, so can quickly start earning an income when they are granted a loan. Loans range from 100,000 to 500,000 Burundian Francs (£40-£200). Interest is charged on the loan of 1% per month (12% per year). Loan term is typically 6 months to one year. A second loan may be granted if the project has been successful. Local monitoring is by the church or association with monthly progress reports. Rema Burundi staff visit quarterly to provide advice and monitor progress. The majority of activities funded are buying and selling in markets, farming, soap and bread making as well as palm oil extraction. Rema has invested approximately £6,700 in these income generating loans and 100% that is repaid is invested back in to new loans. 85% have been repaid, of the remaining beneficiaries some have left Burundi as refugees, two have died and one’s business was destroyed by a fire. What is really encouraging is that those involved in this programme have had their lives changed; by being able to educate their children and feed their families, to pay the rent and upgrade their housing. This in turn builds their self-worth, contribute to their community and enables their children to progress in life.